How did you get started with Salesforce? My “marriage” to Salesforce started way back in 2008, when I landed a job in Sales Ops as a reporting analyst supporting 250 salespeople and four other admins in markets around the world. I was told one of the systems I'd be working with would be Salesforce. "Have you ever heard of it?" I was asked. At that time, I hadn't, but it would end up changing my life. When did it all start to “click” for you? Within 6 months, I had become the “go to” person in the company for anyone needing help with Salesforce, plus I had achieved my first certification. I was Administrator certified and proud! Two months later, I went on the Administration Essentials for Experienced Admins course, which (after months of practice, study, and experience) led to my Advanced Administrator certification. It was then that it truly clicked. I believed in Salesforce! I saw how it had the potential to change companies — as well as people's working lives — for the better. I wanted to help others achieve that. I was hooked. So, I “tied the knot” with Salesforce and went off to become a consultant. 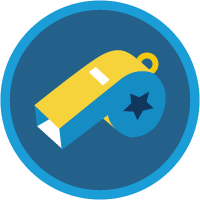 How do you use Trailhead to skill-up at work? There was a time when I felt there was “absolutely no way” I would ever attempt the Architect track. But building my knowledge through project work, and the invaluable support of my mentor and team, I soon realized that as a multiple certified professional with 10 years experience, I really could do it. Now, I've earned all the prerequisite exams and am following the Architect trailmixes to help me prepare for my Certified Technical Architect review board exam (wish me luck!). At Bluewolf, Trailhead is also a major part of our on-boarding process and graduate program. We even built superbadges into our rewards program. There's not a day goes by that we don't see colleagues on Trailhead in some way. 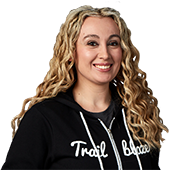 What is your biggest “win” thanks to something you learned from Trailhead? 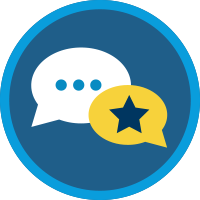 Completing the Lightning Experience Rollout Specialist superbadge gave me the ability to ask the right questions about the current state of things and articulate the Lightning Experience value proposition when discussing switching to Lightning with clients. 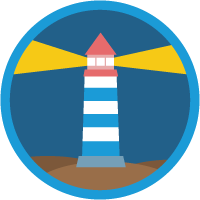 Prior to Trailhead, what were the biggest challenges for your team's learning? Sifting through such a large volume of confusing technical documentation and spending time watching videos to find answers. Now I can search for what I need and see it applied to a scenario through the storytelling and validated learning approach Trailhead uses. I'm creating a trail for my daughter. I'm showing her that there are no boundaries around the type of job that she wants to do or the type of life that she wants to lead. I created and run Ladies Be Architects , a community initiative that aims to build confidence in women who want to be Salesforce Certified Architects. We host regular study groups and celebrate our community successes. 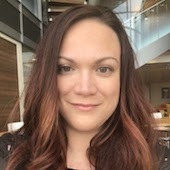 I also volunteer with and teach via Salesforce Supermums, an organization providing women with children the chance to retrain in Salesforce Administration and access relevant employment opportunities in a flexible way that fits around their families. The community is an extension of my friends and family. Nothing's ever too much to ask and everyone is so supportive of one another. They add another dimension to my life that makes me happy. How has Salesforce unexpectedly changed your life? I met my husband Chris when I was working for a major ISV and the company he was then working for purchased one of our products. He'd never seen Salesforce before and had only heard it of it in passing. As the lead consultant working on their implementation, my role was to train Chris and his colleagues on the managed package. Chris was blown away by how easy it was to customize and found my enthusiasm for Salesforce infectious. Our mutual love of Salesforce soon turned to love for each other (cheesy, but true!). I'm creating a trail for my daughter. I'm showing her that there are no boundaries around the type of job that she wants to do or the type of life that she wants to lead. Being a Trailblazer means taking people along for the ride — showing them that they can do it too and it just takes a bit of courage and commitment to become better versions of themselves. I'm already there. I get to work with so many different companies and meet so many people—it's one of the things I love the most about my job. I now want to conquer my CTA journey so I can be even better at what I do. What message do you have for people and businesses new to Salesforce? Buckle up and get ready for your career to skyrocket! Get involved in the community, Salesforce isn't just another piece of software. It's a new way of working and seeing the world. Embrace the message and let your company grow. Favorite place to escape in nature? Tech Arch Delivery Assoc. Mgr. 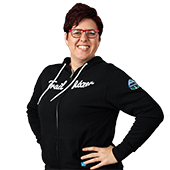 I would not be where I am today without the Salesforce community. 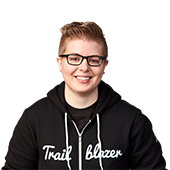 Trailhead has helped me get out of my comfort zone, become more confident, have fun while learning for free, and pursue a career I love. 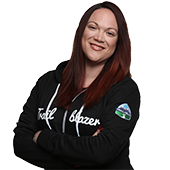 I fell in love with Pardot and the Trailblazer community.